Dr. Teresa Ruehl is a 2005 graduate of the Ohio State University College of Dentistry. After dental school, she completed an Advanced Education in General Dental Residency at the University of Cincinnati. Following her passion to serve, she moved to Wyoming in 2006 to work for the Indian Health Service on the Wind River Indian Reservation. She and her husband, Mike, briefly moved back to their native Cincinnati, but returned to Lander in 2008. Dr. Ruehl strives to deliver the best in oral care and is a strong believer in lifelong learning. She is currently involved in a post graduate training continuum, the Clinical Mastery Series. 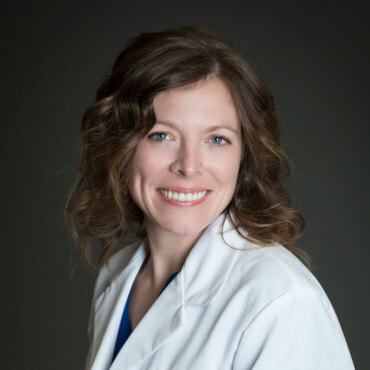 She is a fellow of the South Dakota Implant Center, and a member of the Wyoming Dental Association, the American Dental Association and the Academy of General Dentistry. Teresa and Mike have been married for 12 years. They have two beautiful boys, Elijah and Leo. They love being a part of the Lander community and enjoy all the Wind River Mountains have to offer! Proudly generated by Wyoming Inc.